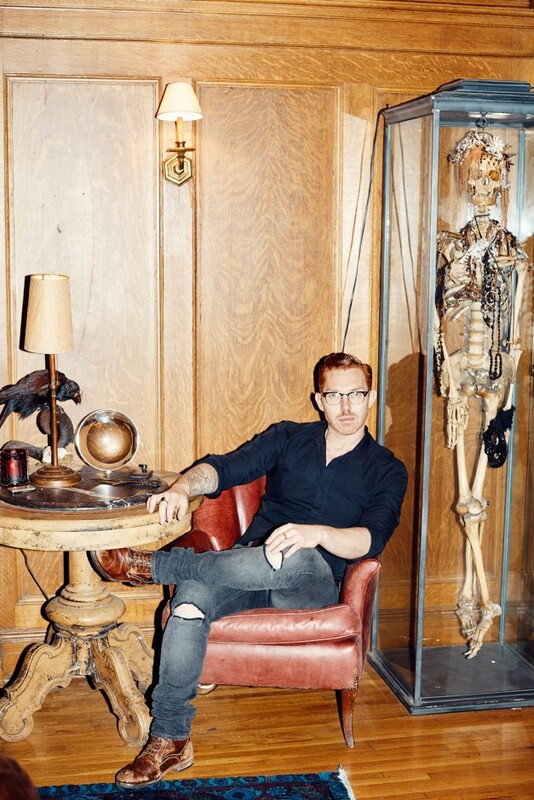 On Manhattan’s Upper West Side, perfumer Douglas Little works out of a dimly lit wood-detailed apartment carefully decorated in gothic touches like taxidermied birds, a glass-encased skeleton covered in jewels, and lots of candles. 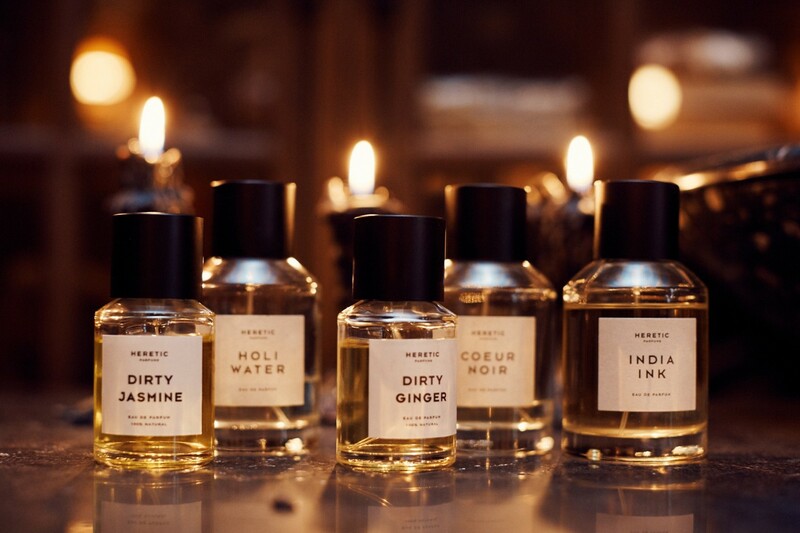 “I had asked my broker for the Rosemary’s Baby apartment,” says Little, whose brand, Heretic Parfums (sold at Barneys New York) offers complex all-natural fragrances. 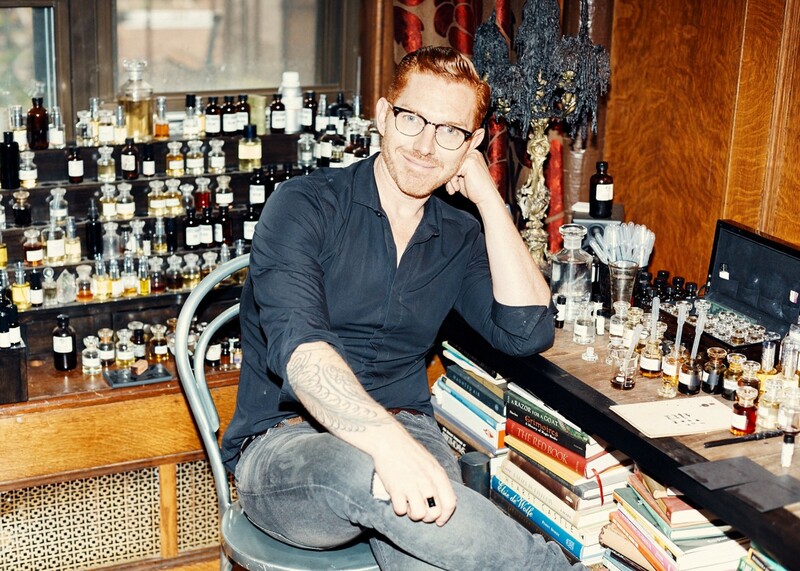 He is also the nose behind Gwyneth Paltrow’s all-natural Goop fragrances, a soon-to-be-launched perfume with Sakara, and has made customs for Nicole Kidman, Dolly Parton, and Janet Jackson. I have a seat beside Little at his fragrance organ (a fragrance organ is like a little tiered mini-theater of shelves with tiny bottles of pure perfumes—reminiscent of the tiered keys of a church organ) to, as the aforementioned have done, design my own personal perfume with Little as my guide. He pours me a glass of an obscure German biodynamic white wine he discovered in Paris called Fledermaus. 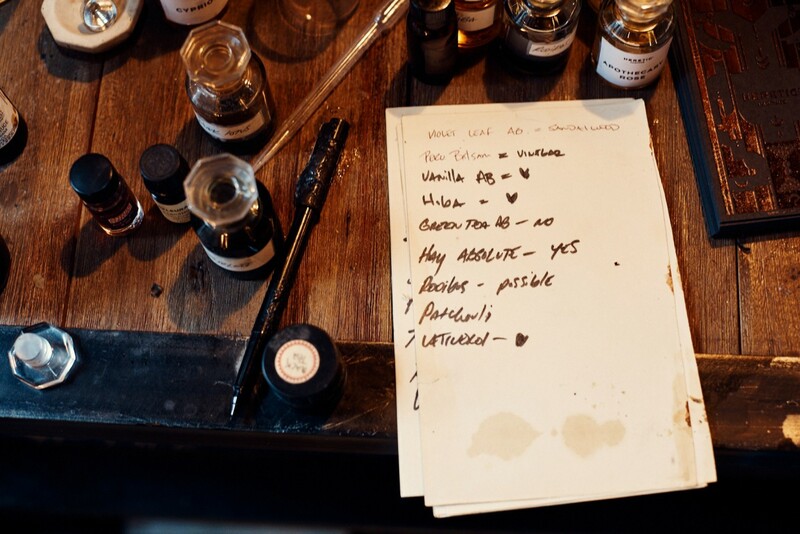 “I prefer people to drink,” he says, “heavily.” The wine is a little bit cloudy, but I learn this murkiness often occurs with natural liquids of any kind, Little explains, including a few of the 300 scents around his organ. Among the other things I learned: how to sniff fragrances like a pro, why some fragrances smell better with just a *hint* of feces, and how certain notes can bring you to tears. Why did he name his brand Heretic? 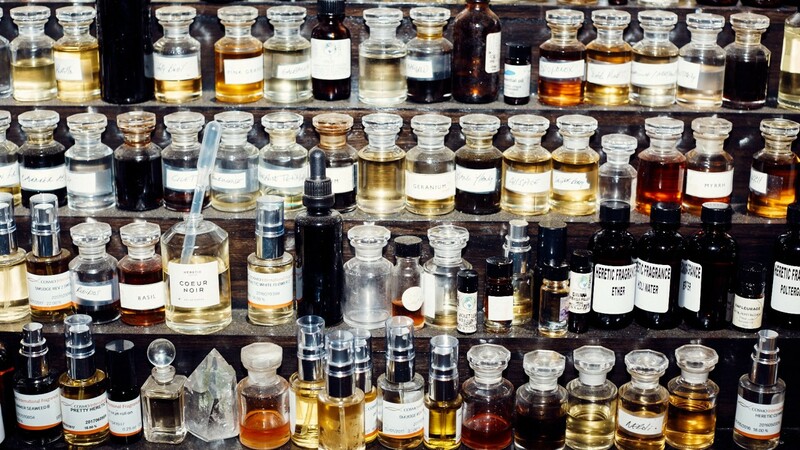 “I was at a trade conference, and a very astute perfumer said naturals were nothing more than the work of heresy.” Boom. Thanks, dude. 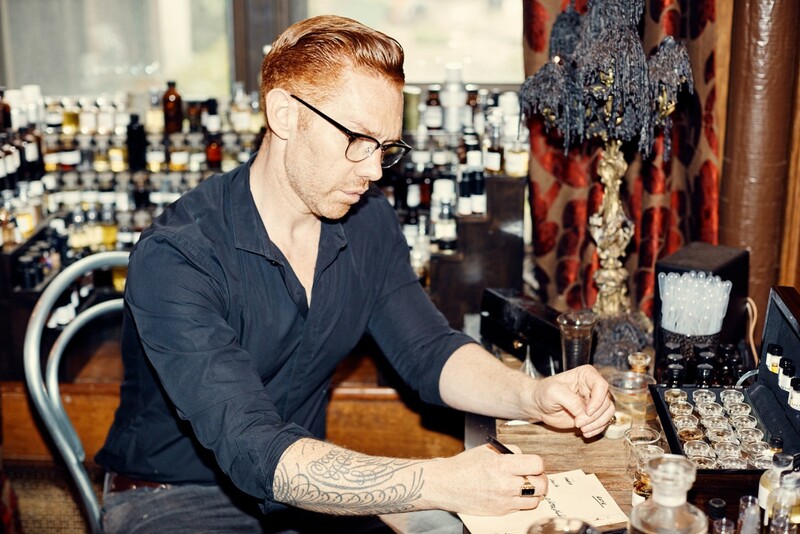 One of the latest launches from Heretic, Dirty Ginger, is a shiso leaf, black pepper, clove, and lime blend that has been one of his most popular fragrances so far. He says to expect some more “Dirty” fragrances from Heretic in the near future. 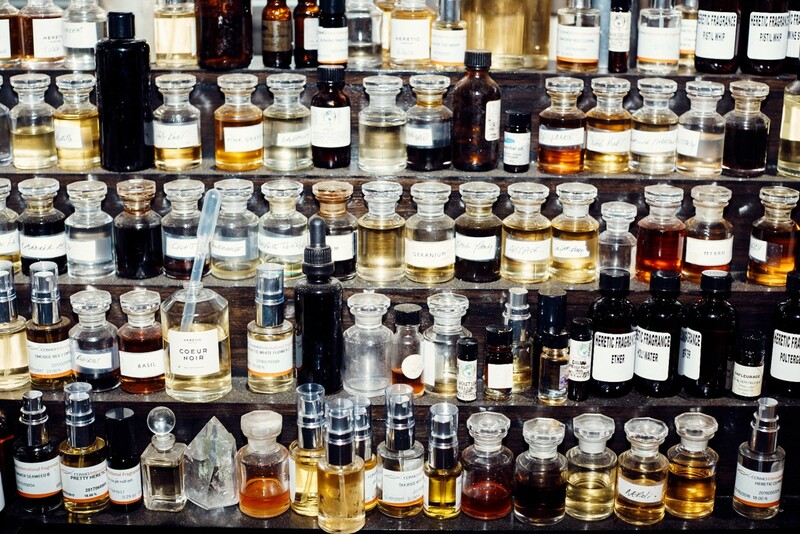 To start off with my own concoction, I tell Little how every perfume I have at home is a fig—I own, like, 10 different beautiful fig-heavy perfumes and need something new. So we decide to totally skip fig in this fragrance but try things in the scent family that I like, such as green notes and smoky scents, and try to insert some kind of delicious gourmand, which I know my boyfriend would appreciate. It’s a challenge, but we’re gonna see what happens. We start with the heavier base notes. “Like a house, you have to start with the base. Establish the base and move upward,” Little explains. The first we smell is violet leaf absolute; it reminds me of sandalwood, which I hate. Skip. Then we try Hiba, the Japanese cousin of cedar, and it’s amazing. It takes me straight to my Northwestern roots and even makes me cry a little bit with its familiarity. We hang on to it as an option. Green tea absolute is totally “meh,” so we reject it. Then, I fall in love with hay absolute, which is so romantic and instantly has me picturing rolling around in a field with someone special. 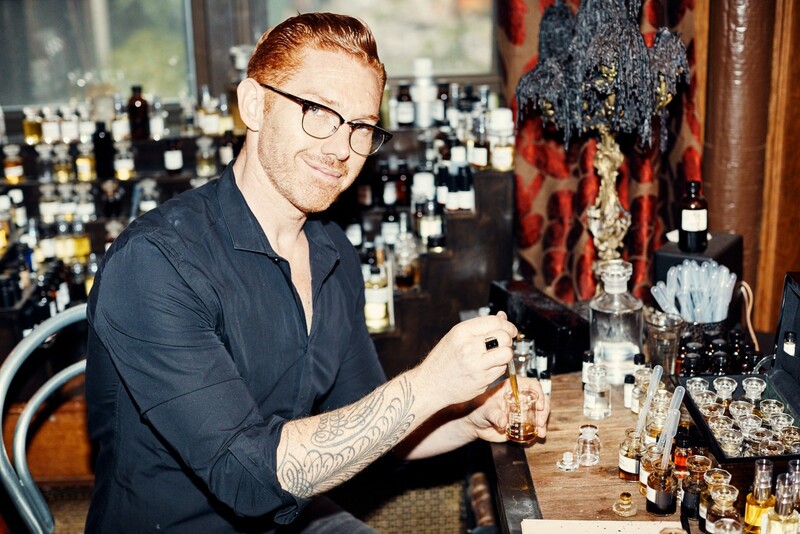 “Bourbon patchouli is the McCallan of patchouli,” says Little. “It smells like dirt. Fresh earth. This one is a little over 40 years old. 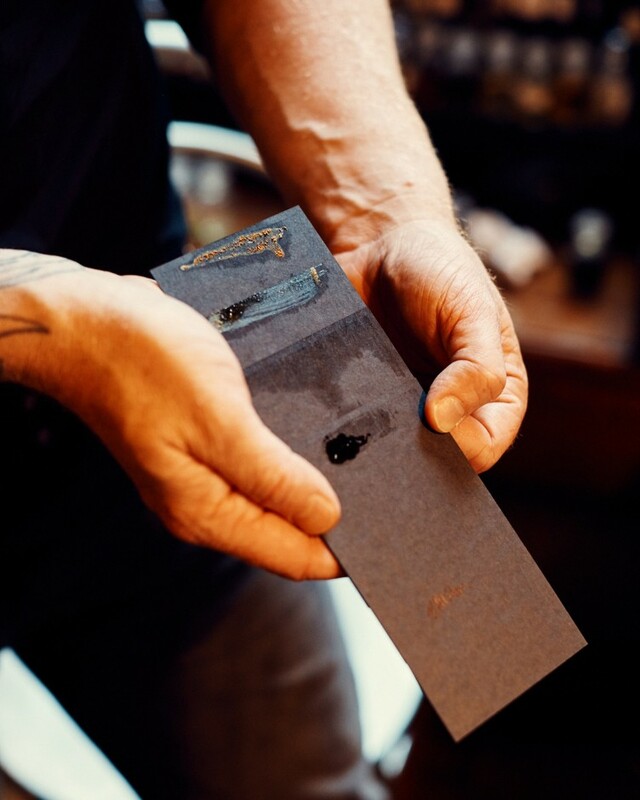 It’s one of the rare natural ingredients that gets better with age.” The smell of this one also makes me teary. Presumably because my dad’s a bourbon drinker. After we’ve chosen a few notes I like, Little staggers the papers so we can smell them together. 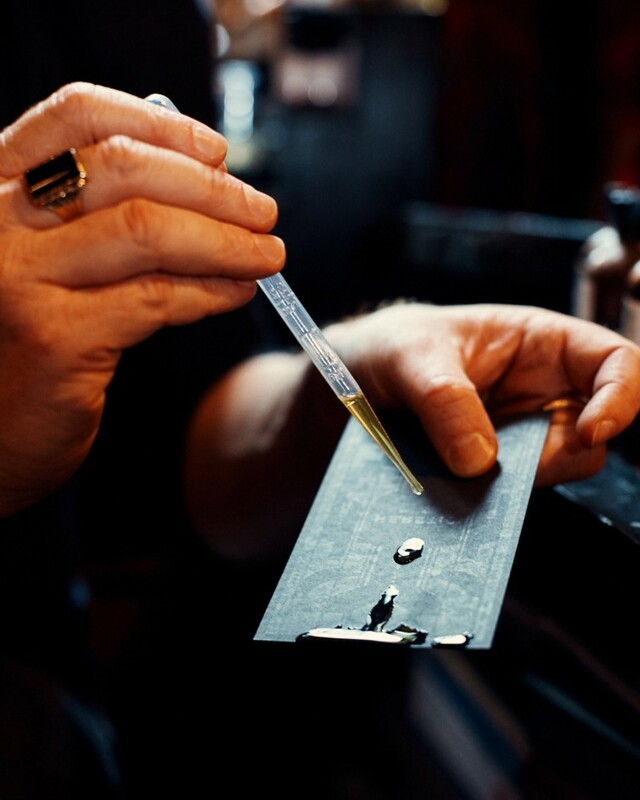 He slides them closer and further from each other to approximately “dial” the levels and intensities before we start blending the actual liquids together. “So far you like the expensive stuff,” he tells me after showing me a really rare gourmand—a smoked black tea called lapsang souchong that I feel I *must* have in my fragrance. 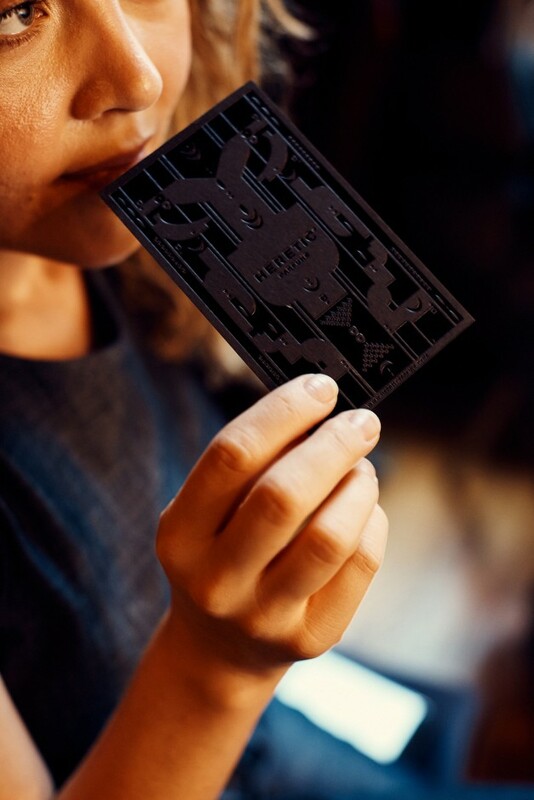 We add a card of it to the lineup. As we combine the various possible combinations, certain notes seem to bank off each other, almost like they’re moving under my nose. We’re definitely onto something I love. Three hours after I’ve walked through the door and a kicked bottle of Fledermaus later, we land on something gorgeous. 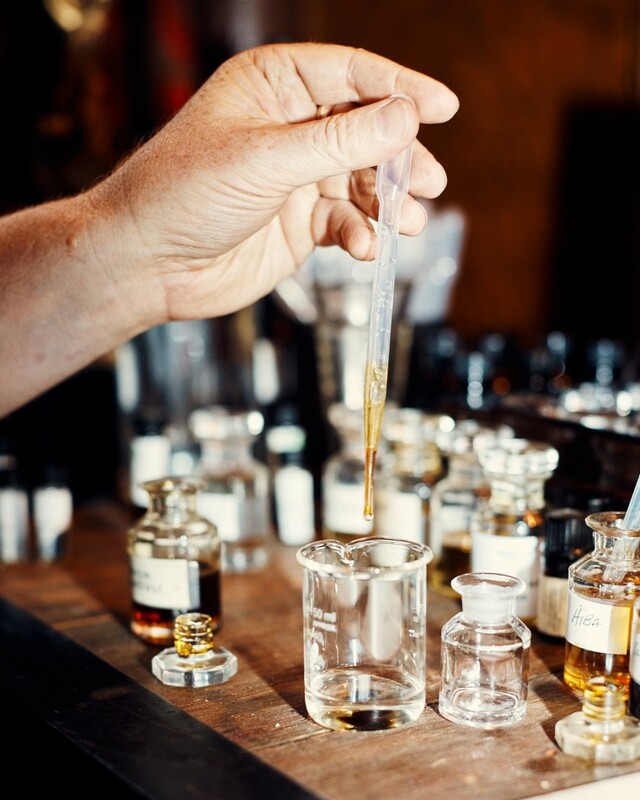 All the woodsy and green notes—including hay absolute, oakmoss, jasmine sambac, and bois de rose—come together for a type of fragrance called a fougère, which comes from the word “fern.” Every time I sniff mine, it conjures an image of stomping on piles of fresh, wet garden roses. 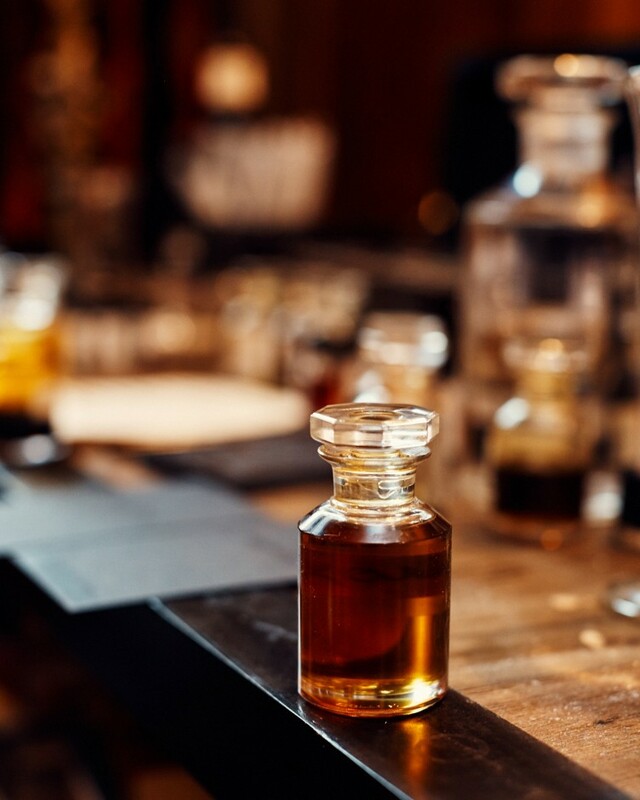 “Let it settle in the bottle for a few days, then start wearing it on your body,” says Little. “You have to really live with it. 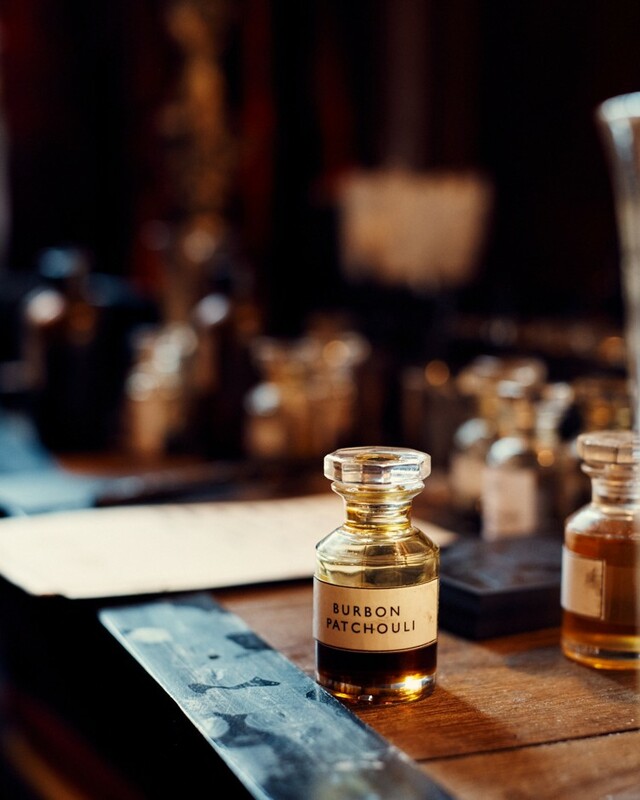 We often end up revisiting fragrances in two or three sessions to get it right.” I’m already dying to douse it on and am compulsively smelling all the traces left on my arms from the afternoon’s work. It’s addictive, and I love it. I think I’ll name it Dirty Fougère.